The 123\FIAT-PLUS is designed especially for Fiat500- and Fiat126-engines. It comes as a complete distributor, with a ring and mounting-bracket. 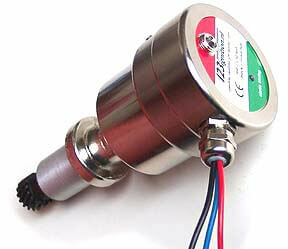 Just like the 123\FIAT, it will do away with wear : no more replacement of points, condensor, rotor and cap, EVER again. The 123\FIAT-PLUS is designed to work with a double coil, like our #4240, producing a strong crisp spark, for better starting and economy. ‘123\FIAT-PLUS’ comes as a complete distributor-housing ; you can keep your old distributor unchanged.